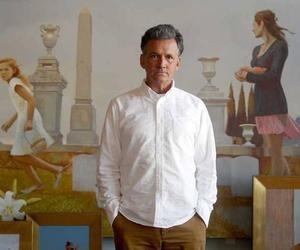 Columbus artist Bo Bartlett recently won the 2017 Gibbes Society 1858 Southern Contemporary Art Prize. The prize was sought after by over 200 artists throughout the Southeast. Bartlett is widely recognized for his realist paintings. Notable ongoing local contributions include his art initiative for the homeless called Home is Where the Art Is, and the Bo Bartlett Center at Columbus State University opening January 2018. The artist recently corresponded with Sunday Arts reporter Carrie Beth Wallace to discuss his reaction to winning the award, his current projects, how he’s feeling about the impending Bartlett Center opening, and what he plans to do with the prize money in the future. Q: What led you to apply for the 2017 Gibbes Society 1858 Southern Contemporary Art Prize? A: Generally, I don’t apply for prizes. I don’t spend my time that way. I put my energy toward creative work. That said, I had applied for the PEW Fellowship in the early 1990’s when I lived in Pennsylvania and was fortunate enough to win the $50,000 fellowship. It was the largest single award in the arts at that time. We had applied for the Gibbes Southern Art Prize once before. I was a finalist the year when Patrick O’Dougherty won. The Gibbes puts out a broad call for entries. My studio office responded at my wife’s (Betsy Eby) encouragement. I didn’t even realize or remember that we had applied until we were contacted about being named a finalist. I certainly didn’t expect to win. There are so few awards in the arts and they are very competitive and difficult to win. The Gibbes Prize is unique in that it is focused solely on Southern artists from 13 Southern states. It is a great idea, and I am honored to be chosen as the 2017 recipient. Q: What paintings did you enter to win? A: We submitted paintings from my recent Lacunae Series, which were painted in my studio in Columbus at SwiftMill. This body of work included paintings that are complex in their psychology and syntax. They are all “Southern” in that they are set in Columbus, in locales around town. But, they are morphed to feel like they could be anywhere in America and at anytime in the past 50 years. The paintings combine traditional religious truths with contemporary social issues in an attempt to reconcile the national cultural divide we find ourselves facing. An example is “Easter,” set in Linwood cemetery. The girls (my nephew, Grant Scarborough’s daughters) hunt for Easter eggs in the cemetery of the Confederate dead. The painting addresses the theological concept of resurrection combined with the very real history of the Lost Cause. “We will rise again” becomes a double-entendre. A new mystery to be confronted and dealt with. Q: What was the application process like? A: As I mentioned, they put out a broad call for entries. Everyone is welcomed to submit an application. It is a thrilling opportunity for all levels. The applicant is asked to submit images of recent work and an artist’s statement. At Betsy’s suggestion, Marina Dunbar, in our studio office, did all the heavy lifting in filling out the submission. We chose recent work and supplied an artist’s statement. That was it. Q: How will winning the Gibbes Prize impact your business? A: An artist, for better or worse, doesn’t have the term “business” in their lexicon. Oh, I’m not playing into the old stereotypes about artists being disorganized and lazy. Just the opposite, we are focused and concentrated, but only on our work, not on externals, such as the market or business. There is so much to do and learn and explore, and it’s the artist’s job to explore it. There are no rules. The universe is not limited, and the artist must expand to try to comprehend it. It is a process of eternal growth. We can’t be distracted. If an artist is truly in the hunt, daily at work in the task of discovery, the universe gladly responds in kind and provides. The universe loves being seen. It’s not all hooey. Oh, one certainly must be responsible day to day. There are bills to pay and taxes to pay. There is a structured framework in which society operates, and we know that, but it is a minor nuisance. The real work outshines it and is our reason for being. There is major work to be done and the artists are participating in it. Q: What are you currently working on in the studio? A: Well, I’m in Maine right now. We spend a few months here. Always different months depending on our schedules. For me, the morning is spent writing and looking out at the sunlight on the wide open ocean. The mysteries of the glistening sea are a metaphor for this life. My morning work usually includes processing and perception. I think about my dreams from the night before, and the events of the day before, and the work at hand, and where it may lead in the future. I paint a morning gouache from life. Whatever strikes my attention. I believe in excitement. One must be enthused. Betsy usually writes beside me. We sketch. She does yoga or works on her piano as I gouache. Then after lunch we are in the studios. Currently, I am working on a painting of two figures spotting a whale in the distance in the sea. Everything is metaphor, signposts for what is. I hope to complete three oil paintings this summer, as well as numerous works on paper. Q: What goals do you have for the remainder of 2017? A: Oh my! We are so busy, but not in a bad way. I have several lectures. Betsy has a show opening in London in October, where we’ll go the the Frieze Art Fair as well. Then, I have a show in New York at Ameringer McEnery Yohe in April that we need a few more paintings for. Betsy has more shows around the country. We are editing the film “Things Don’t Stay Fixed,” which is exhilarating, because we are thrilled with the footage we shot this summer in Columbus. We feel like it’s really going to be something special. Of course the Bo Bartlett Center is scheduled to open Jan. 18, 2018. So we are excited about that and all of the festivities surrounding the opening of a new contemporary art space at Columbus State’s RiverPark campus. There is much to do in preparing for that opening. There are also new programs we’ll be instituting this year to work with the needs of the community. Much to do. Q: How do you feel as though you are continuing to evolve as an artist? A: Evolution is incremental. Until it’s not. The changes are almost imperceptible until all of a sudden great change occurs and everyone is like where did that come from. Changes in my work tend to be subtle. New input creates the opportunity for new subject matter. My work tends to be largely subject matter driven. At least on the surface. The struggles of form or style are internal and are rarely perceived. I believe that an artist must work within their temperament. This is not dictated from outside forces. Not by the currents of the day or style or by chance. Temperament is in one's DNA... it is set. One can’t deny it. An artist must strive to know themselves and then reveal their temperament in their work. One must be a tough judge to decide what to bring in and digest. We have to be tough with ourselves. Everyone must be selective. The universe is dancing information. We must weed out the static and clutter- these things can lead to what D.H. Lawrence termed “a false fate.” Be careful what you take in. Artists are porous, so we are particularly sensitive to stimuli. Evolution involves openness, but one must learn to be discerning — to filter out the wheat from the chaff. Q: What advice would you give to young artists who are just starting their careers? A: We are at a divide. The world that I grew up in is very different from the world we find ourselves in today — both for better and for worse. The old hegemonies are falling. New paradigms are finding their footings as we cycle back and address old problems we thought were long settled. The wealth of knowledge online is unfathomable, but young students would be well served to look at art in books. Try to spend less time online and more time in reality — real reality. Spending more time in nature and drawing more from life. The problem with the internet for an artist is that the dopamine squirts one gets from the new stimulation every click can become addictive. In the past these heightened moments of dopamine were reserved for when you had actually created something new. It can too easily be activated now just by the next click. So my most important advice would be to put the phone down, put the computer to sleep, close the laptop... and wake up to the real reality, which can inform in divine ways. The wonder of sunlight, the beauty of natural forms, the tempos and measures of nature. It takes discipline. But it’s an artist’s job. Wake up. We hope that the Bartlett Center at CSU will be a place for young artists to start to jump start this process. Q: Any special projects surrounding the Bartlett Center opening in January? A: We are thrilled to be opening the center. We think Columbus will be amazed. The skylight is like nothing else. Tom Kundig, architect from Olson Kundig Seattle, has created a gorgeous space to experience art. It will be an inspirational place. A place to recharge and find solace- a place to be invigorated and called to action. The premier exhibition will be a retrospective of my work and the work of my peers, inspirations and influences. It’ll be an all encompassing experience. The visitor won’t just be seeing art, they’ll be experiencing an era. A whole life lived and the world seen through the artists’ eyes. 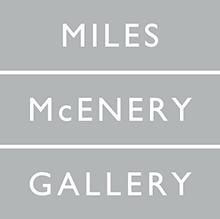 We are thrilled to be the new contemporary art center in Columbus. Q: Anything else you’d like for readers to know? A: I just want to thank Columbus for all that it is, and to thank Columbusites for all of their support. I wouldn’t be the artist I am today without Columbus and its influence and support. Support from the Columbus Museum, to the collectors, to the benefactors, to the donors, to the philanthropy, to the outreach, the servant leadership and the wonderful complexity of the diverse myriad of cultures. I love Columbus. I am proud to call it home, and honored to represent it. I am honored and humbled to win the 2017 Gibbes Society 1858 Southern Contemporary Art Prize, and I am happy to share it with Columbus. A percentage of funds will go to support programs that enliven and bolster creativity and artistic endeavors which add to an evolving and growing robust Columbus.